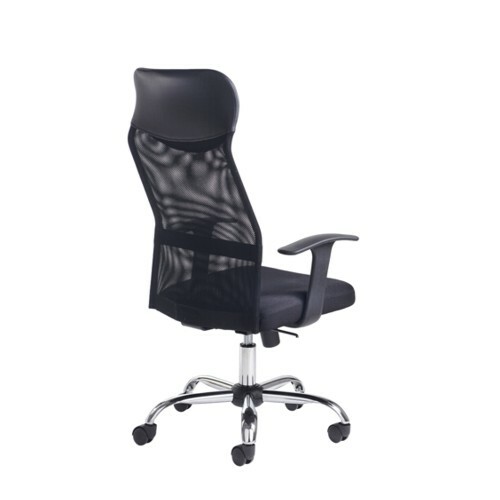 This mesh office chair is the perfect multi-purpose office chair for use in the office or home office environment. 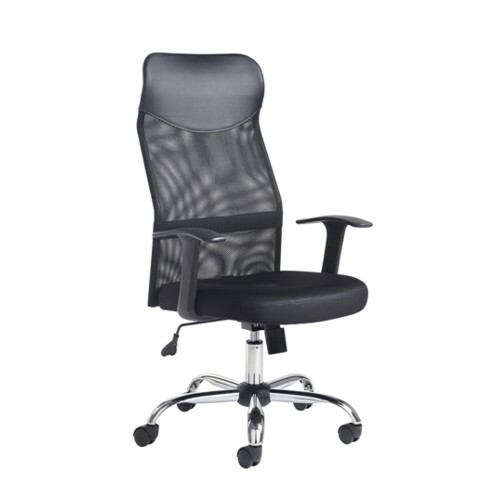 With its high back, arm rests and comfortable headrest it's also an ideal office managers chair. 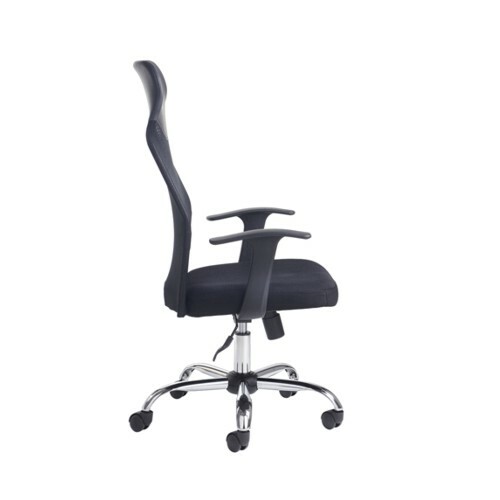 It comes with gas lift adjustment, weight tension control adjustment and standard tilt lock mechanism. The Aurora High Back Office Chair is available in neutral black with a chrome base.